Rohit Khanna is Program Manager of the Energy Sector Management Assistance Program (ESMAP) at the World Bank. In this capacity, he oversees a portfolio of analytical and advisory activities in the energy sector. 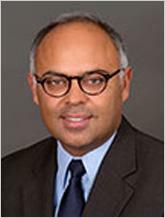 Mr Khanna joined the World Bank in 2000, and prior to assuming his current position at ESMAP, he worked on the Global Environment Facility (GEF) and Clean Technology Fund (CTF) at the World Bank. Before joining the World Bank, Mr Khanna was a Program Officer in the United Nations Environment Program, and worked for Save the Children Fund in its Bhutan Field Office. Under its direction, has been launched the World Bank City Energy Efficiency Transformation Initiative (CEETI).